• $10 per boat big bass (optional) payout – 50% to Fishing for Frankie and 50% cash payout to winners. • Check in and launch –Somme’s Marina, 4298 Hwy 90 East, Des Allemands, Louisiana 70030. If you choose to launch at a different location, you must check in, turn in your registration and/or get your launch number and packet and have your live well checked prior to release at first light or you will not be allowed to weigh-in and compete. • For safety reasons, ALL teams must check in with the weigh master at noon weather they are weighing in fish or not. • Registration: Pre-registrations will be accepted until the day of the tournament. Registrations accepted on the day of the tournament from 4:30 am until 12:00 pm (noon). Late registrants must still be at the weigh-in by 12:00 noon the day of the event. • All boats will receive a launch number, handed out in the order in which the registration is received. Five (5) boats at a time will be allowed to leave, in number order, at safe light as instructed by the tournament director. Tournament fishing must be done in public waters. 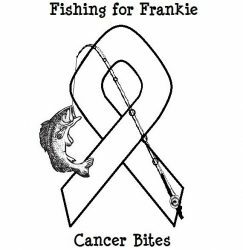 • Weigh-in 12:00 noon the day of the event at Somme’s Marina, 4298 Hwy. 90 East, Des Allemands, LA. All teams must be at the weigh-in at 12:00 noon to qualify for weigh-in. Weigh-in to be conducted by South Louisiana Team Trail. • All Federal, State, and Local laws will apply. • Life jackets must be worn when the engine is running. • Maximum of five (5) fish per boat (team); ½ pound penalty for dead fish. Fish must be at least 12” to be eligible for weigh-in. • No alcoholic beverages are to be consumed until after weigh-in. • Respect is to be given to other anglers regarding their fishing area. • A valid Louisiana fishing license is required. • Safe boating rules must be observed at all times. • All fishermen under the age of 16 must be accompanied by an adult. Participants under the age of 18 must have a parent/guardian sign an additional waiver granting permission to participate.